The greatest locations and the best times! 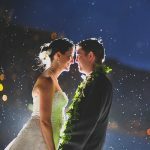 Highly recommended by Top Wedding Professionals in Hawaii and the U.S. Mainland. 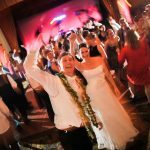 The DJ Hawaii will come to the venue of your choice, where ever you decide. Trust us to make your Wedding Reception Simply THE BEST! “Tony is a wonderful DJ and provided an outstanding entertainment at my wedding reception. Before the wedding, Tony had couple meetings and few emails with my husband and I. He shared many feedback on songs, wedding venues and reception flows with us. Tony’s recommendations were really helpful. Everything You Need for less Stress. Experienced, Professional and Exciting for Every Wedding Reception. Yes, of course. I think it’s very important to build a rapport with you. This will give me a better understanding about your personality and, for you, of mine. A bride or groom should know if you like the DJ’s personality and if you think you will be happy working with him or her. 50s, 60s, 70s, 80s, 90s, Acoustic, Big Band, Classic Rock, Classical, Country, Dance, Folk, Funk, Gospel, Hip Hop, Jazz, Motown, Oldies, Orchestra, Pop, Punk Rock, R&B, Rock, Soul, Strings, Swing, World, and MORE! Do you emcee the event or talk between songs? Customer Service Oriented. I listen to you and work with your taste and style of music and compliment it with my experience. If your selection of music is not getting the results you want on the dance floor it’s my job to troubleshoot the party and fix it in the mix. My goal is to share the dance floor with everyone. Grandma, Grandpa, Mom, Dad, Aunty, Uncle, Family and Friends. It’s a celebration and everyone should enjoy themselves. We dress for the occasion. I usually wear black pants (Never Jeans) and a nice button up dress shirt. Because Hawaii is a tropical Island over dressing or out dressing the Groom is not a wise thing. I learned from one guest mistake when he decided to out dress everyone and almost matched the grooms attire. Everyone was congratulating him. The staff at the Hotel, the vendors and some of the guest who really did not know the Groom. It was so funny. I dress well and fit the part. If you don't have the song I want, do I have to provide it? Only if it’s for a special performance and/or dance routine. If not I can buy the song and make sure it is the right version. If it’s something that is playing on radio or was playing on radio, chances are I can get it or I have it already. I have an assistant. I do have associates who DJ for my company, but are a separate entity. I have high standards and expectations for DJ’s I refer to represent me if I am already booked and a client wants the consistent customer service and trust that I provide. I am here to help match the right DJ if I am not available for your event. It all depends. That’s something we have to talk about. I seek to understand first, then I share my experience when I understand your needs and requirements. Communication will solve most issues and understanding your needs and reasons will give me a better perspective. Do you specialize in any type of events? What special equipment is offered with your service? Our Lighting is to enhance the dance floor when we get the dancing started. We use the newest technology available which is LED Lighting. It adds a nice accent to the room without the flash into peoples eyes. The lighting is there for an ambient effect. What do you need to setup on our special day? I like to be on site at least two hours prior to the event starting. This gives everyone the peace of mind that I am setup early and ready to go anytime when called upon. I rather be stuck in a room ready, rather than in traffic on the H1 here in Hawaii. H1 is like leaving a baseball stadium after any ball game. You’re crawling out the parking lot. I respect traffic and will not test it. Leaving Early to my events is part of my commitment for every client I work with. Yes. I have a protocol of DJs and professionals that are ready to cover me if there is issues with my health or circumstances.